Check-in/out is typically Saturday and Wednesday. Coastal Retreats or Country Cottages. We have handpicked coastal cottages, stylish boutique apartments and glorious luxury villas with ocean views, perfect for your Scottish Family Vacation, Seaside Romantic Breaks, Golf Holidays or Dog Friendly Holidays. Our Coastal Retreats and Country Cottages are located all along the coastine including the famous seaside and golfing locations of North Berwick, Gullane and Edinburgh. Charming villages such as East Linton, East Lothian. We have some stunning city apartments within walking distance to Edinburgh Castle. You will have miles of magnificent coastline to explore, glorious golden beaches, rolling countryside, spectacular cliffs, award winning tourist attractions and the world's finest selection of golf courses - in fact East Lothian offers the perfect haven for a vacation or short break in Scotland. 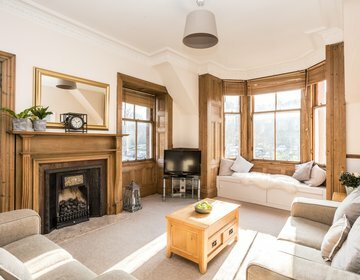 Only 35 minutes from Scotland's capital… Edinburgh, which is a "must see" while you are in Scotland, why not combine a city apartment with a coastal cottage ? We attract hundreds of visitors each year to this wonderful part of Scotland to enjoy a little bit of luxury by the sea. For last minute special offers and for up to date whats on it the area, join us on Facebook or follow us on Twitter. 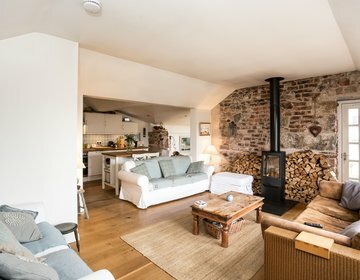 "Rockpool Retreat a "little gem" in North Berwick. Beautifully presented accommodation, set in tranquil suntrap shared walled garden - we enjoyed outdoor coffees and drinks." "… a lovely seaside flat, amazing location … perfect for a romantic break." "Driftwood Cottage is ideal for a family holiday, well equipped, lots of hidden surprises like a large toy box for the kids. We all enjoyed the relaxing break and will be back next year." "… a fantastic place to stay! Immaculate, well maintained, excellent location, great facilities and beautiful views … will be highly recommending to friends and family and look forward to returning. Thank you." "Seahaven has all the amenities, whilst also offering peace and quiet. Perfect for a family vacation I have already recommended to friends."